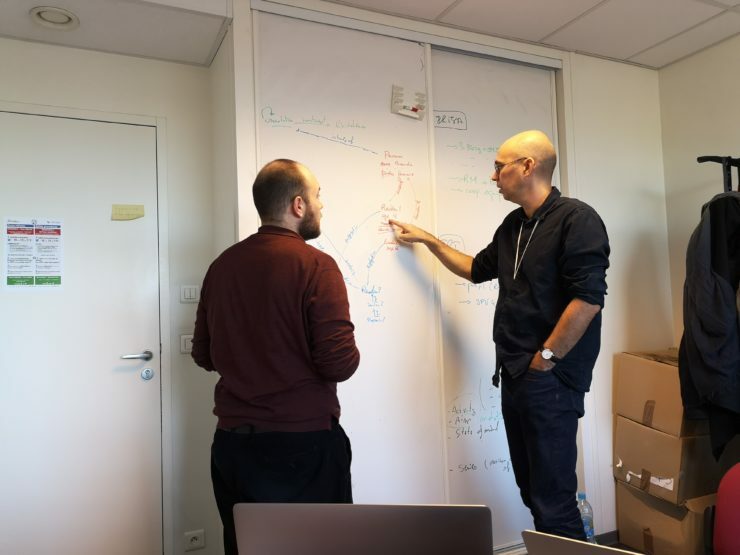 The second meeting of the READ-IT technical team took place on 19-20 December 2018 at CNRS-IRISA, Rennes, France, attended by Guillaume Gravier (CNRS-IRISA), François Vignale (Le Mans Université) and Alessio Antonini (The Open University). The meeting was an important milestone in the design of the READ-IT data model. First, we worked to harmonize the three angles of the technical work strand: ICT requirements about data collection and retrieval, the conceptual work behind the data model and the requirements of the requirements of the research activities in terms of challenges, scope and sources. Second, we worked on testing and validating the model on real data, produced by the different research groups in READ-IT. Engagement with the data sources allow us to revise effectively the first version of the data model and to identify recurrent patterns in reading. Such patterns and their encoding with the data model will be the core of the knowledge base about the use of READ-IT data model. Picture taken by François Vignale: Guillaume Gravier and Alessio Antonini at work. Picture taken by François Vignale: Guillaume Gravier and Alessio Antonini at work.